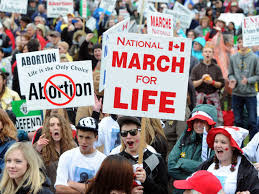 BURLINGTON April 17, 2018 - For years the Halton Catholic District School Board has sent a bus load of students to Campaign Life Coalition's (CLC) annual "March For Life" pro life rally in Ottawa spending thousands of dollars on transportation, food and hotel accommodations. This causes a problem for the board "sanctity of life motion" since they specifically mention the "March For Life" and it appeared on the short lived approved charity list published by the board and now found here. It's clear that March For Life or any other campaign from the CLC can never be added to any future charity list since it is prohibited by The Broader Public Sector Accountability Act. 1 They violated the Education Act for not first consulting with the community affected. 2. They violated their own Conflict of Interest rules for failing to declare numerous conflicts trustees have with various lobby and charity groups. 3. They have violated Income tax Act according to Canada Revenue (here) since the HCDSB is a registered charity and cannot donate money to a partisan political lobby groups like March for Life (CLC). The CLC has a huge database of elected political figures it recommends you vote for found here. 4. They have violated the Broader Public Sector Accountability Act by including the "March For Life" Campaign Life Coalition political lobby group to their list of approved charities. 5. They have violated the The Ontario Human Rights Code by restricting peoples ability to give to only non LGBTQ charity groups. How many more laws have to be broken before Trustee Danko, Karabela, Quinn, Marai and Trites come to their senses and rescind their motion? They are giving the Minister of Education more and more reason to step in and straighten things out. She's already mentioned her concerns once. The Minister's senior staff have been informed.